‘Tis the season to be mindful. Gift-giving is a coveted art that may be developed with a bit of practice in compassion, empathy, and creativity. Consider first what your loved one may need, narrow it down to items you would actually want (yes, you), and then give the best idea an imagination splurge — a sustainably sourced version perhaps. This woman-owned company is celebrating their 10-year anniversary with sustainability in mind. MISCHA has lent their iconic hexagon tote bag print to shoe designer Anastasia Gerali, founder of Alasia Lifestyle to create a tote + sandal combo that any eco-friendly, jet-setting lady would hug a tree for. Each shoe in the limited edition capsule collection is made-to-order using cut offs from MISCHA’s canvas fabric — a gorgeous way to reduce waste, and is handcrafted by skilled, traditional artisans. Indulge in up to 50% off November 23rd - 26th. Looking for top-notch yogi props? Zura — meaning “warrior for good” — has high-performance yoga gear that is biodegradable and ethically produced. They also plant a tree with every purchase. No posers here. Use code URBAN for 20% off. 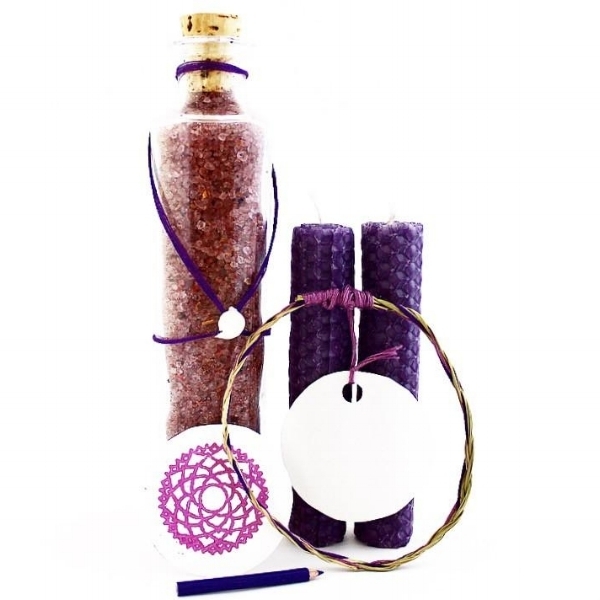 Their line of chakra oils blends key fragrances to help realign and rebalance the body’s main seven energy centers. Like the rosewood, patchouli, geranium, litsea cubeba, petitgrain, orange, and ylang ylang mix for the heart (the anahata chakra). Add a drop or two to a diffuser or crystal for meditation. Or dilute and dab directly onto the skin. Use code URBAN for 20% off. Stop Breath & Think App. This meditation app is a check-in for your emotions (before you wreck yo’ self, of course). After going through a series of prompts, it customizes an age appropriate meditation for your mood. It’s kid- & adult-friendly, so the littles may use it too. Now how’s that for a family plan? Use code URBAN to get one month free. 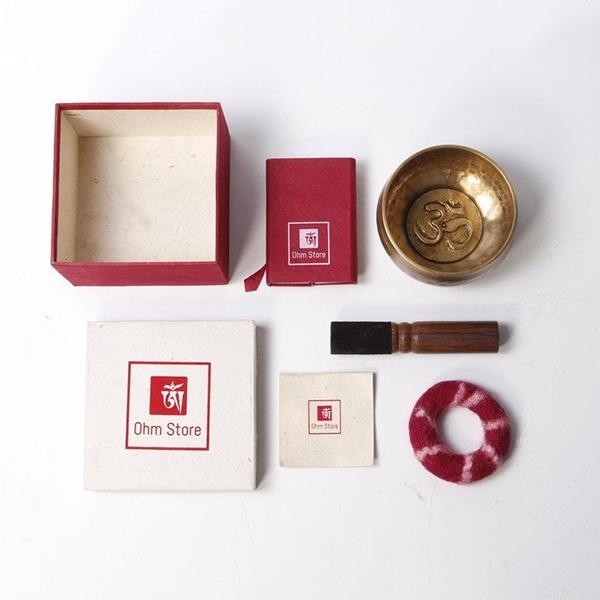 Singing bowl and Journal set. If life is like a box of chocolates, throw in some massage oil and make it heaven. This lovely little bundle of peace is one of six special holiday gift sets from Shankara Naturals, an all-natural, award-winning, wildcrafted skincare line. 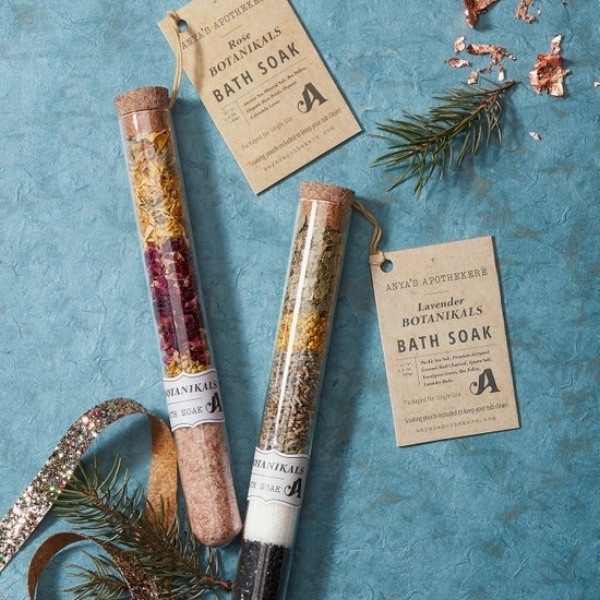 It includes their Muscle Release Oil — a soothing and aromatic addition to any rub down — and an ayurvedic treat from Elements Truffles Chocolates: Cinnamon Orange with Clove Infusion. The ultimate relaxation package combines Gravity’s premium, therapeutic weighted blanket — one of TIME’s Best Inventions of 2018 — with the #1 app in meditation and sleep. For a limited time, save $50 when you purchase a year's subscription to Calm.com x Gravity Blanket in Calm's signature blue color. Elsewhere in Gravity, enjoy 15-30% off select items from Thanksgiving through the end of the year. 108 Mala to enhance your meditation practice. Gifting the gift of wellness is a true act of kindness, so imagine the love behind this powerful blend of grass, greens, and veggies. 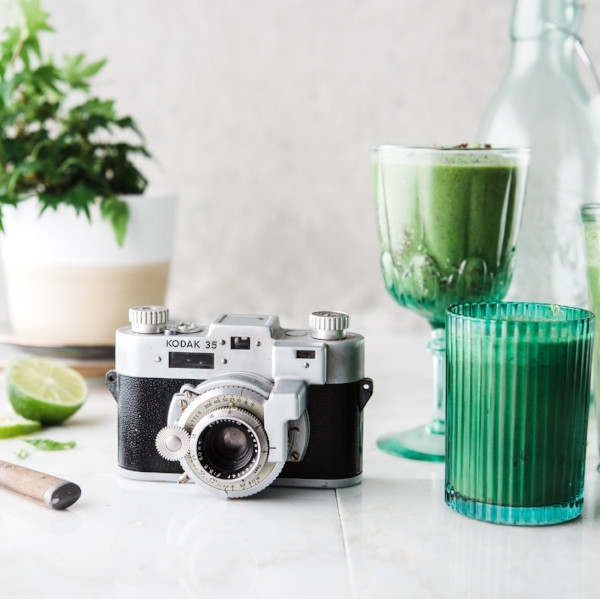 It helps your body maintain an optimal pH level, giving you more all-day energy, better digestion, a boosted immune system, & healthier-looking skin. Use code URBANMONK15 for 15% Off. Valid through Dec. 31st. Cleansing from the inside out is simple with Vie. Start with their tea blends — Calm, Detox, and Happy; and then wrap up your evening with their signature soaps, jade rollers, gold ear seeds, and Gua Sha. Use code URBAN15 for 15% off. Valid until Dec. 31st. These days, being a yoga teacher means living your best life — mentally, physically, and spiritually — and sharing that adventure with the world. 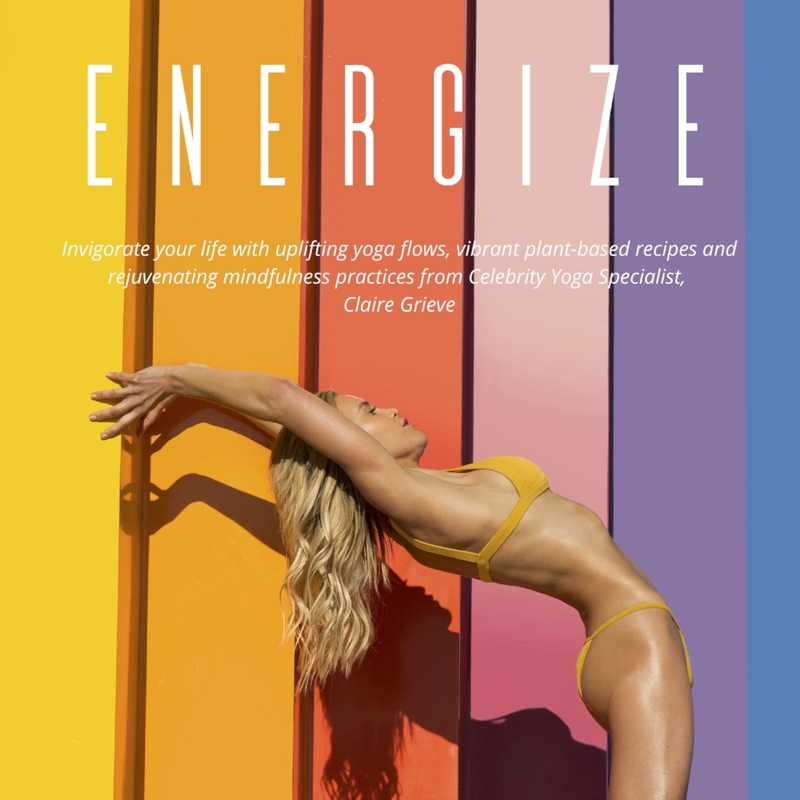 For Claire, the journey began in a laid-back hip-hop yoga class and, 10 years later, finds her an author of this guide to shifting and manifesting energy. Don’t worry, it’s not so meta. She basically outlines everything you need to meal plan and vinyasa flow your way through a good day. Use code URBWELL18 for $5 Off. Her 2019 #Goals Planner comes with recipes, shopping lists, and motivational words. Note to self: today is the day to be healthy. For a quick-cleanse workbook, Learn. Grow. Shift. is an approachable and enjoyable 30-day journal for personal growth. It will help you establish positive habits, engage in self-reflection, and develop a sparkling sense of self-assurance. For an eco-friendly version of this gift, go for the downloadable interactive PDF. Léon & George delivers gorgeous potted plants straight to your home. Each set includes the plant, eco-friendly pot, delivery, and lifetime plant care support to keep leafy housemates happy and healthy for years to come. What’s more, for each plant sold, they plant a tree! This Full Body Shiatsu Electric Massage Chair Recliner with Heat & Foot Massage is the ultimate luxury gift.